Here’s an example of my inner workings doing their thing: One day a couple summers ago, I hit a squirrel in my car. He ran in my lane, froze, and then darted back as I tried to swerve to avoid him. We each misread the others next move and collided. I went through my day doing what I needed to do, but the squirrel was constantly on my mind. Were other squirrels around waiting for him? Of course they must feel sadness and loss, right? If I had been a little later leaving the house, I would have avoided the whole experience. I know to most people this is just a squirrel. I don’t even particularly like them, to be honest. They claw at my garden and plant things all in the wrong spots and are just generally high-strung and twitchy little rodents. But we all have our place, and he/she was a being just like me. It took some days to get over it, but I did. I just didn’t like the feeling it gave me that it happened. So you’re wondering how this ties into technology, I assume. For me, it’s the same. While there are so many great things that come w/ access to so much information so instantaneously, I think a lot of us are losing a lot of ourselves and our ability to connect on a basic, human level. When I go out in public and see everyone’s faces down on their phones, ferociously texting to Mr. Anonymously Right (total speculation on my part, partly for humor here – I obviously don’t know who’s on the other end! lol) it makes me feel kind of weak in spirit. I have actually stopped shopping at certain grocery stores where the cashiers are texting while ringing up my order. That small conversation that you get at the register is that important to me! I actually care how your day is going! And I refuse to think that I am alone in my thinking and feeling on this! This instant access to technology is robbing us of something so truly valuable that we only realize it after the fact. I think the main thing it attempts to steal from us is our time. And time shelters our most ultimate potential as beings! My father always told me growing up that time was the most valuable aspect of a person’s life. (His quote was actually, “Time is money.”) At that point in my life, which was also the year he passed, I was a 17-year-old senior in high school w/ my license and a boyfriend. I didn’t get it. Simply put, I thought I was important and had things to do. He would come in my bedroom on Saturday morning at 7:30 and tell me to get up and ask about my plans and goals for the day. I would say I thought he was crazy and please can I just sleep a little longer. Now, as a parent and just a general population adult who interacts w/ other general population individuals, I am so happy to have had this way of thinking instilled upon me. I must apologize here. My thought process is flighty at best, but that is what makes me, me. The whole reason this topic came to the forefront for me is because my cell phone contract is coming up on renewal. My husband desperately wants a phone w/ internet access. He hates being out in the car w/ the family on a Sunday afternoon and getting an idea to go somewhere but not being able to look it up on the phone w/out a stop to the home computer first. He doesn’t know that I secretly like getting lost on the windy roads holding his hand while the kids are sleeping in the back of the car. So here’s the flip phone tie-in. 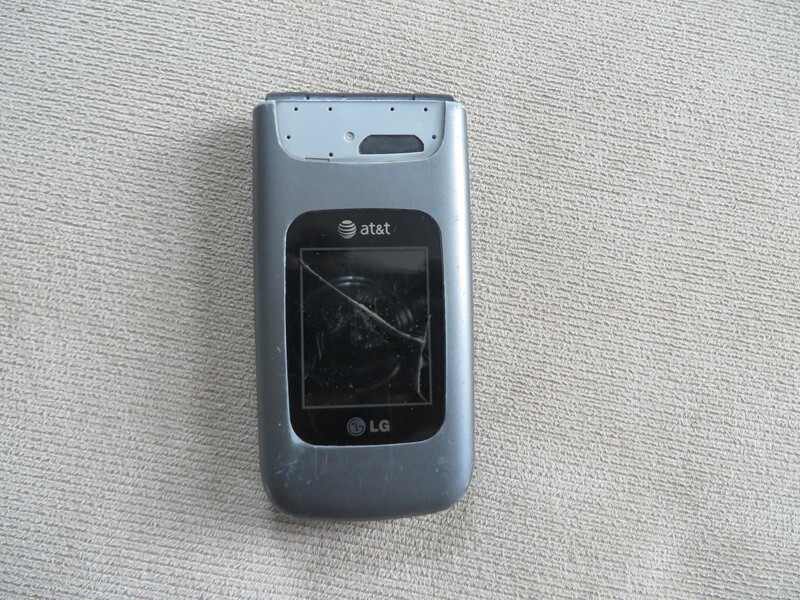 My trusty old flip phone has hundreds of pictures of my kids growing up that I am too stubborn to actually figure out how to retrieve and upload somewhere else. I don’t care that it has no features that everyone else wants and is ugly and cracked and just generally un-hip. It sits in my backpack or in my car and I go check messages when I’m ready. The ding of a new message received doesn’t send me running that very second, no matter what I’m doing, to see who it is. If I’m sending a message and my kids ask me for something, I try my best to look at the situation from the outside looking in, make eye contact, and really listen to what they are saying. If I’m in the car and the phone rings, it doesn’t get answered until I have arrived at my destination. I would rather look in my rearview mirror at my beautiful less-than-baby-these-days girl than talk to someone else when I’m w/ my kids. I really hope I can stay that way as more technology makes its way into the palm of my hands. It honestly makes my heart swell when I think of a community of people taking the time to appreciate, see, and really experience all the great nuances that other people have to offer, putting technology on the backburner. Now, let’s not get all paranoid. If you’re a friend of mine and you get a phone call that you have to answer, please do your thing and take the call! I’m not a school principal or enforcer of any cell phone laws, I’m just a weirdo w/ lots of internal dialogue on subjects generally not given a second thought! And now that I’m done unloading the dishwasher and making our breakfast as I’m writing this post (that explains a lot, I’m sure, as to why I’m all over the place! ha!) I have to sign off and go have fun w/ my kids! It looks like a beautiful fall day here in the Northeast! Next > Ballet Slippers Tutorial – No Pattern Needed and FREE!